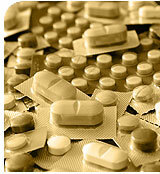 Keppra® or Levetiracetam is one of the newer anti-epileptic drugs (AEDs). Keppra® is effective for partial-onset seizures. This medication is available in multiple tablet sizes. The body eliminates it principally in the kidney, as opposed to the liver like most AEDs. It has a relatively short half-life of 6-8 hours in the serum and a longer half-life in the central nervous system. For this reason it is dosed two times daily. It lacks any of the typical serious side effects of the older AEDs involving the liver or bone marrow. It does not have any known interaction with any of the other AEDs or other medications. It reportedly will not affect birth control pill efficacy. On the other hand, its safety in pregnancy is not established. In addition, if the dose gets too high, then it can cause the usual AED side effects of sedation and difficulty with balance. The drug appears to have a very large margin of safety. It arrived relatively late on the market compared to some of the other new AEDs so that may be the reason why it is not more popular. Keppra® has been shown in some open label trials to also be effective for neuropathic pain.